Today at its “Future of Shopping” event in New York, eBay has announced a redesigned site and a new Pinterest-like product Feed, as well as the public debut of eBay Now in San Francisco with NY coming soon. eBay’s newly refreshed site certainly feels cleaner than ever before, with refinements to the company’s search, product and checkout pages, but the overall experience should not be different enough to confuse users. eBay’s new Pinterest-like feed, however, is a completely different animal, and despite being downplayed, reflects an interesting bet on Pinterest’s discovery model, with the hopes of merging discovery with actual purchase intent. The new Feed is rolling out in the US over the next 100 days, but you can activate it now by visiting www.eBay.com/feed. Users of the Feed can make their own feeds and follow other feeds — and if that doesn’t sound suspiciously like a Pinterest Board, I don’t know what does. As for the site redesign, it’s live, but certain aspects, including the new product pages, should become available over the following 24 hours. Noteworthy site improvements include the new one page checkout process, much deeper PayPal integration (which may not be an improvement for some users) and a generally clearer visual hierarchy. eBay Now, the experimental service that connects customers with local partners like Walgreens and delivers goods to them within the hour, has officially arrived in the iTunes store today and is now available in NY and San Francisco (NYC coming soon). You can get the app here. The once quirky Web 1.0 hub of used and rare goods is moving into a very different direction. With more than 25M sellers of “mostly new products” that feature free shipping, eBay’s famous auction site is looking more and more like Amazon every day — without all the warehouses. Here’s some stats for you to put this all into perspective: we already knew that eBay’s mobile app has been downloaded more than 100 million times, leading to millions of dollars in mobile-based revenues. Additionally, according to CEO John Donahoe, eBay has as many as 400 employees working on mobile solutions right now. 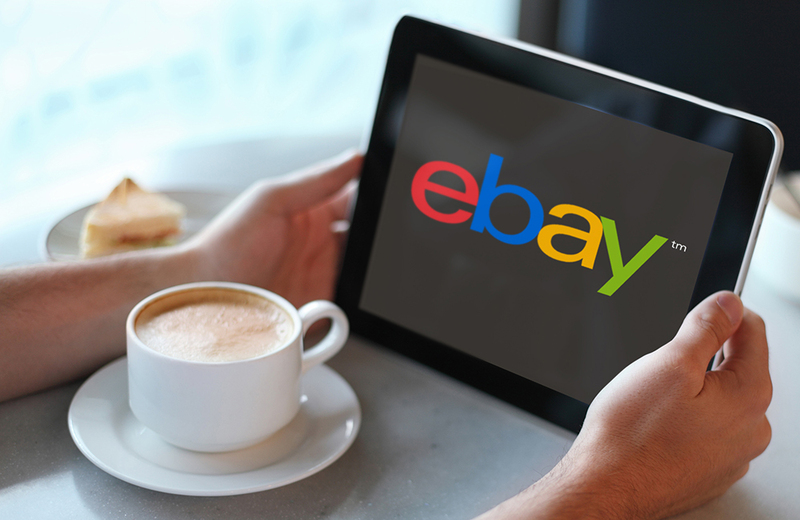 Today’s announcements complete eBay’s shift into a direct competitor of powerhouses like Amazon, and from what we can see, the new eBay has been executed quite well thus far. One thing that is troubling, however, is the new eBay Feed. Countless sites have adopted the Pinterest look over the past year, but it’s naive to assume that Pinterest’s success can be transferred to many different use-cases. The classic “time will tell” line applies well here, but hopefully eBay has at least prepared itself to explore alternatives should its Pinterest copycat not catch on.